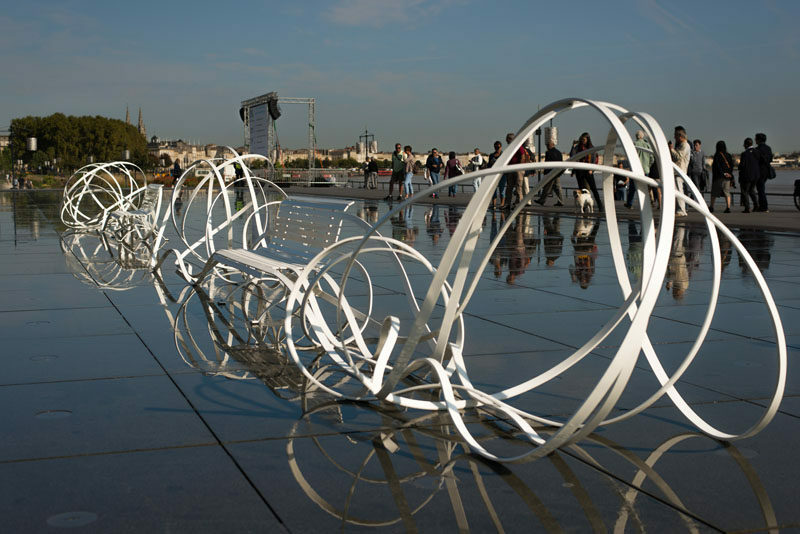 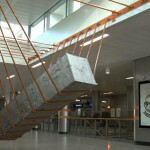 As part of the Agora Biennale of Architecture, Urbanism and Design in France, sculptor Pablo Reinoso has created an installation of seven sculptures as part of his Spaghetti Benches series. 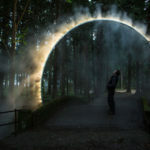 Specifically made for the city of Bordeaux on the Miroir d’Eau and working with the theme of “landscape” chosen by the Agora biennale, Pablo Reinoso imagined the installation L’Observatoire du Ciel (The Sky Observatory). 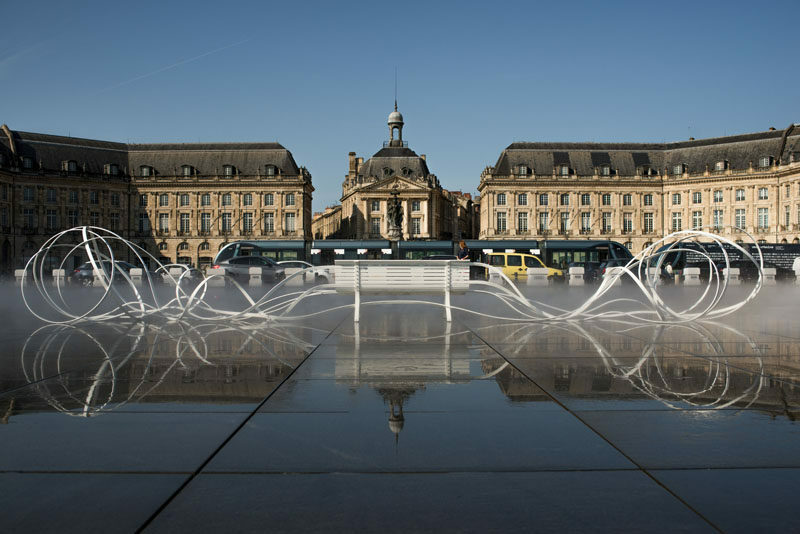 By installing the benches on the Miroir d’Eau, the water allows the physical landmarks to be turned on their heads, creating interesting reflections on the ground for people to enjoy. 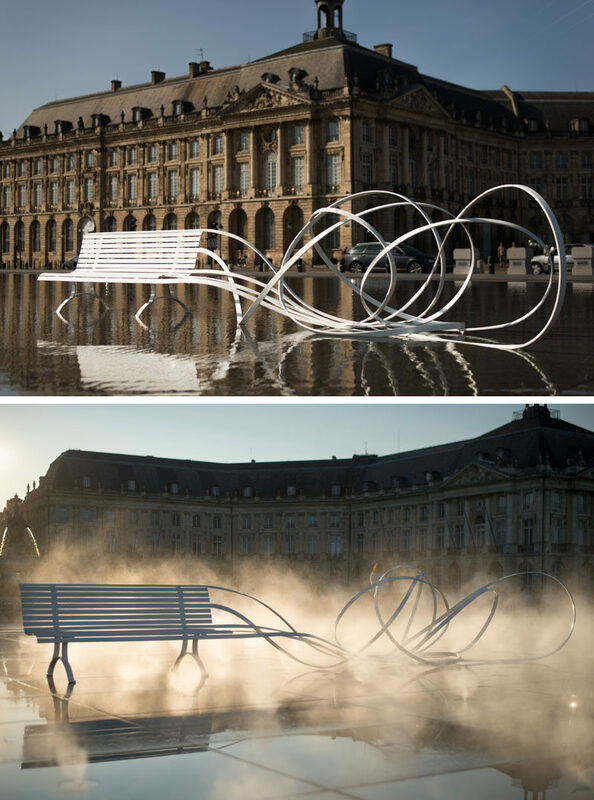 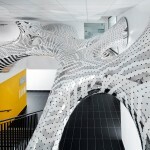 Each of the seven designs are unique, with each bench having twisted and curved metal continuing from the seats, sometimes attaching it to another bench. 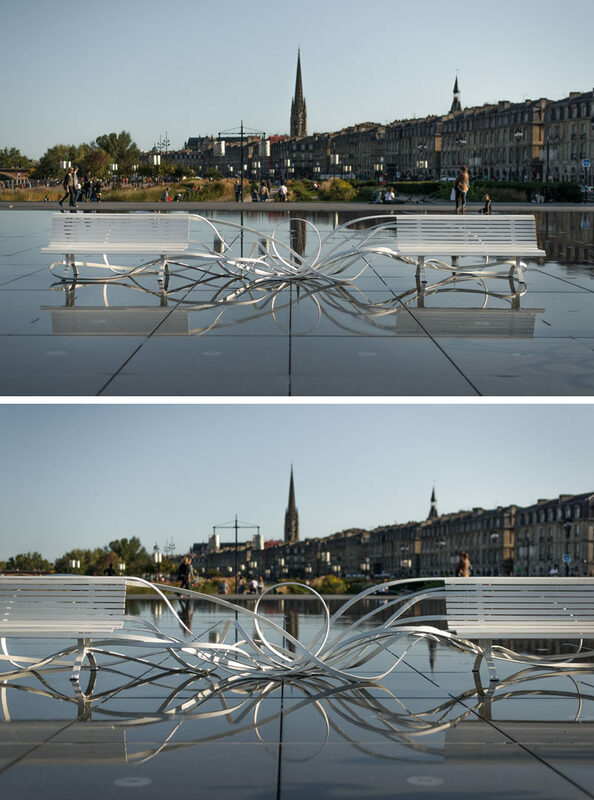 If you’re interested in seeing them, the benches will be on display until the 25th September, 2017.